Announcement Classic to mod, retro to boho. MorningGlorious has a wide selection of vintage clothing, jewelry and accessories. Search XS, S, M, L or XL in our shop to find everything in your size! Many of our items have FREE USA first class shipping! Or you can upgrade to Priority Mail at checkout for faster delivery times. We pack your order with care, and we ship it FAST! Classic to mod, retro to boho. 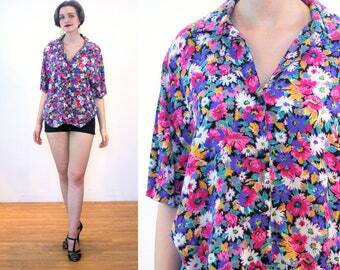 MorningGlorious has a wide selection of vintage clothing, jewelry and accessories. Search XS, S, M, L or XL in our shop to find everything in your size! Fast shipping. Very pleased with it. Lovely skirt ❤️ Thank you so much! 30% off store wide February 1-3! Beat the winter blahs! Photo shoot, behind the scenes, with Sarafina and Sophie! 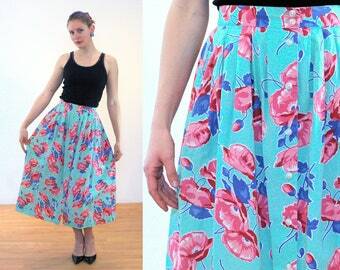 Stunning 1950s floral halter dress just added to the shop. These two cuties, both in BIRD print shirts! Blouses added to the shop today. We have provided vintage for theater, film, editorial fashion photo shoots, and television shows such as Mad Men. Prints and patterns from the past capture our hearts and imaginations. We have thousands of items in our inventory. I'm Jen, and I've been wearing vintage since I was 14. Back then, I filled my closet by borrowing my mother's 1940s dresses, and hunting at yard sales and auctions. I started Morning Glorious 18 years ago to share my vintage clothing and jewelry finds with you, and I've had this Etsy shop since 2008. In 2012, my husband Vincent and I teamed up to open a second Etsy shop together for our menswear collection, called MisterBibs Vintage. We ran a 'brick and mortar' store which was chosen as one of the "Top Ten Best Small Vintage Shops" in the country by "USA Today" magazine. We've been featured in Vogue and Elle, and are proud to be longtime members of the Vintage Fashion Guild. We have provided garments for TV series, Hollywood films, and regional theater productions. We work in a large studio at our 1850s Vermont farmhouse which holds our offices and warehouse, photography area, and a vintage clothing showroom with all our online merchandise. We have a great team of assistants and models, and we're fortunate that here in New England we still find incredible fashion treasures tucked away in closets and attics, just waiting to be rediscovered. 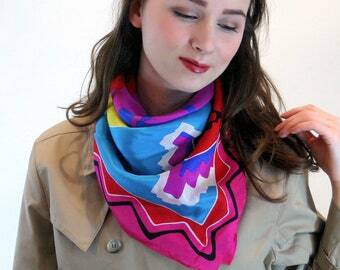 When selecting merchandise, I choose beautiful, visually striking, well made garments, and it's all about the color, pattern, texture, print and proportion. We love the remarkable details in things made in the past and we hope you enjoy our finds, too! Jen is a vintage clothing dealer with 18 years of experience and a background in jewelry design, photography, sales and publishing. Jen runs the day-to-day operations, selects inventory, shoots the photos and co-manages our menswear shop, MisterBibs. Vince is a carpenter and a writer, who has raised three sons. He has a love of vintage workwear and clothing history. Vince researches, shops, lists, models, responds to customers and ships orders. And he built our showroom and warehouse, too! Jennie, a singer-songwriter, spends her days working at the world's best thrift shop. In her free time, she sews stylish clothes, cooks, makes music and works out at the gym. She enjoys the challenge of writing enticing descriptions of our vintage. Our petite, teen model Hazel is a student interested in theatre and design. She loves putting her own spin on vintage and thrifted pieces and getting to show them off! Amelia looks forward to her future role as a Crazy Cat Lady, and in the meantime she models, sings, acts, and works at New England Youth Theater. She helps MorningGlorious with sewing repairs and garment alterations. Our model Sophie loves vintage clothing and fashion. She is an artist, printmaker and gardener. Cheerfully serving beer, Lindsey loves representing New England's best in fashion flair! Antonia, our staff petite model, has been interested in fashion and photography for most of her life, and she works as a professional art, fashion, lingerie and pinup model throughout the New England area. Follow her on Instagram @agreengoddess. Eliza is a photographer and vocalist. She's interested in fashion, music and film. She writes songs and sings lead in her band, and has worked for us as an office and photography assistant, fashion model and stylist. Our teen model Rose is an accomplished martial artist and karate grand champion, a visual artist and animal lover. Her business "Rose's Pack" sells handmade art cards to raise money for animal protection. Petite model Meg lives in Rhode Island and is an artist and graphic designer. Our model Angel loves vintage and brings her fab retro personal style to everything she does. She lives in northern Vermont where she works with children with autism. You can follow Angel and see her vintage finds on Instagram @angeldemure. Jeanette has worked for us as a copy writer, office assistant and occasional model. When not being a program assistant organizing everyone else's lives, she can be found at the gym, playing her cello, reading a book, or daydreaming out the window. Our visiting guest model, Sarafina, a graduate of the Putney School in Vermont, is currently pursuing her studies in Art in Germany. Our model Lulu is a talented young Vermont photographer who creates evocative self portraits. In addition to modeling and photography, she also writes passionately about life, love and art. Check out her website at www.lululovering.com. Thank you for shopping with Morning Glorious! We offer you unique VINTAGE garments and accessories that are in great condition and are fairly priced. We mend, clean and steam our items before listing them. Any flaws or prior repairs are noted in the item description. See something you like? Take 10% off your first order with Coupon Code: WOWZA10OFFMGV. We accept EXCHANGES for STORE CREDIT ONLY. You may return an item in exchange for another item of equal value to the original item's purchase price (not including additional shipping). Please contact us within 24 hours of receiving your order to request permission to return, and please expedite returning your item to us within 5 business days, to receive your Store Credit. - Our shop tags MUST still be attached to the garment when it is sent back. - We do not refund shipping costs, and the customer is always responsible for the cost of return shipping. We strongly suggest purchasing Delivery Confirmation to be able to track your returned item. - Because of our state's health code, we can not accept returns/exchanges on swimwear, underwear, most lingerie, and earrings for pierced ears. - Items must be returned to us in EXACTLY the condition in which they were sent out. Any items returned with brand new damage, or new signs of "wear and tear" (including new stains, tears, broken zippers, missing buttons, odors of perfume or smoke, etc.) will no longer be eligible for an exchange. - Items purchased on a Layaway plan are NOT ever returnable/exchangeable. - Items in our shop marked "SALE" in the title, or in our SALE Shop Section are our Final Clearance items, and are NOT returnable/exchangeable! - Coupon codes can not be combined - if you have a Shop Credit Coupon, it can not be used in checkout with any other previously issued Etsy Coupon. Our items are TRUE vintage, meaning they are at least 20 years or considerably older, they have been worn before, and may have minor flaws such as pulled threads, tiny spots or holes, etc. We have over 16 years of experience in the vintage clothing business and we do our best to note any flaws in the item description. Colors may look different on different monitors or mobile devices. Please feel free to ask us questions or request more details, or photos, before purchasing. We provide garment measurements according to standard tailoring methods, so please know your own body measurements -- and remember, a garment needs to be bigger than you are, so that you can move and breathe in it. For example, if your waist is 28 inches, a cotton (non stretch) dress should measure 30 inches in the waist, so you can bend, turn, sit, and are comfy wearing it! Usually vintage sizes on the original clothing labels are not comparable to modern sizes. Waists, shoulders and arm holes may be proportionately smaller than in modern clothing, and vintage shoe widths often run narrow. Feel free to ask us questions in advance, or request extra measurements, to be sure of a good fit. A great way to know, is to compare the measurements in the listing with a garment, or pair of shoes, etc., that you already own and that fits you well. WE HAVE ONLY ONE OF EACH ITEM! We estimate the size to the best of our ability, but please always go by the garment measurements provided. We describe any flaws we see in the Item Details section, and generally rate garment condition from 1) Poor/Distressed/Fair, 2) Good, 3) Very Good, 4) Excellent. Most POOR to FAIR items will only be offered if they are being sold as a study piece, cutter, or fashion design example. 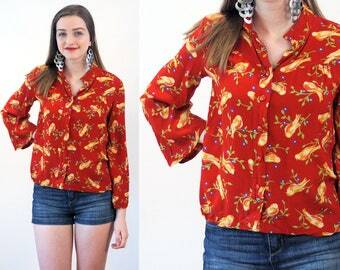 GOOD condition means the piece is wearable but may have issues such as prior repairs, a missing button, or light stains that will be identified in the listing. VERY GOOD means there may be some overall signs of prior wear, but it is still very presentable. EXCELLENT condition means it's really great, it looks pristine, we don't find any flaws at all. 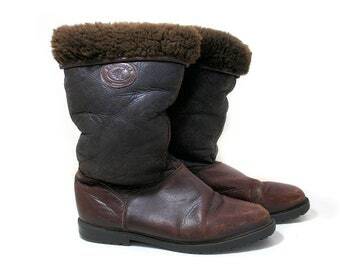 DEADSTOCK or NOS (New Old Stock) means the item was never worn or still retains original maker's sales tags. Deadstock items may still have flaws that occurred to the item while in storage. Vintage clothing, by its nature, often has little imperfections or signs of wear which are not considered major flaws. Jewelry may show some tarnish or patina. Shoes may have light scuffs or have wear on the soles. Our items have a rich history and may be 25, 50 or even 100 years old. They are REAL vintage, and they are wearable and have character, but they are NOT the same as BRAND NEW or reproduction items. If you'd like us to HOLD an item for you, we can do that for 48 hours without a down payment. Reserves of longer than 48 hours require a non-refundable deposit of 33% of the item price. We also offer LAYAWAY on items over $100 with a similar 33% deposit and a conveniently scheduled payment plan! Items priced between $100-$200 may be purchased on Layaway with a 2 week payment plan - you simply pay the 33% deposit to hold your purchase, pay us another 33% in a week, and pay the balance due in 2 weeks time. Items priced $200-$500 may be purchased with a 1 month payment plan, and items priced over $500 are eligible for a 2 month Layaway plan. Just convo us to set it up! We will ship your order within 1-2 business days of receiving payment (unless we are away on a buying trip, in which case you will be notified of any shipping delay). We generally do not ship on weekends. If you need your order expedited, please convo us or write an order note with your request. Orders are sent the most economical way, by 1st class Mail or Priority US Mail. We can also send a domestic order by UPS upon request and with any additional freight charges prepaid. We're sorry but we are not able to ship with FedEx or other carriers. We are happy to ship internationally! But we can not falsify a US Customs form, it is illegal to do so. Please do not ask us to declare your purchase is a gift, or that it sold for a lesser amount, to avoid Customs fees. US sellers may face fines and penalties for lying on a Customs form. INTERNATIONAL CUSTOMERS, PLEASE NOTE -- You are responsible for paying any applicable customs fees or import taxes in your own country which might be associated with receiving your Etsy purchase! The UK, in particular, charges VAT (value added tax) to you, to receive your imported item. Please be aware of these potential charges which are independent of Etsy and not in any way under our control. IF you are OUTSIDE of the USA, please convo us when you place order with your telephone number, in case the Customs Office in your country needs to contact you about delivery. Compliance with Laws: Your personal information (name, mailing address, etc), as provided to us by Etsy, will only be used by us as needed to provide our services, such as when we use your information to fulfill your Etsy order, to settle disputes, or to provide customer service and support. We may collect, use, retain, and share your information if we have the good faith belief that it is reasonably necessary to: A) respond to legal process or to government requests; B) enforce our agreements, terms and policies; C) prevent, investigate, and address fraud and other illegal activity, security, or technical issues; or D) protect the rights, property, and safety of our customers or others. We have no access to your payment account details or knowledge of your payment methods, as Etsy Payments (also known as Direct Checkout) processes your order. Your information will be stored on the Etsy system as long as we keep our store active on Etsy or until such time as Etsy deletes it. We will not send you spam emails or solicit you in any way by using the information provided to us with your order. How to Contact Us: Your order information and any additional data you may have provided us to be used to fulfill your order by Morning Glorious Vintage, is managed by MGV owner Jennifer Karpin, and we may be reached by mail at 484 Williams Street, Suite 100, Brattleboro, VT USA 05301.